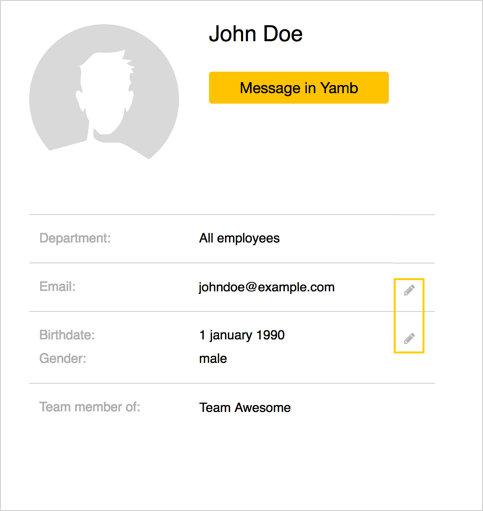 The personal data and contact information for each person in the company is shown on the employee profile. To view the profile, find the person in the org structure (use the search box next to your picture, or open the appropriate department) and click the person's name. In Email you can also add other contact information (phone numbers, Twitter link, and so on). Company admins also see the Admin tools button on the profile. This button opens the employee profile in the management panel, where the admin can move the employee to another department, change personal data, and so on.